After near-normal rainfall during the spring and summer, this fall a number of drought-ending storm systems began to sweep across Texas, particularly the eastern half of the state. 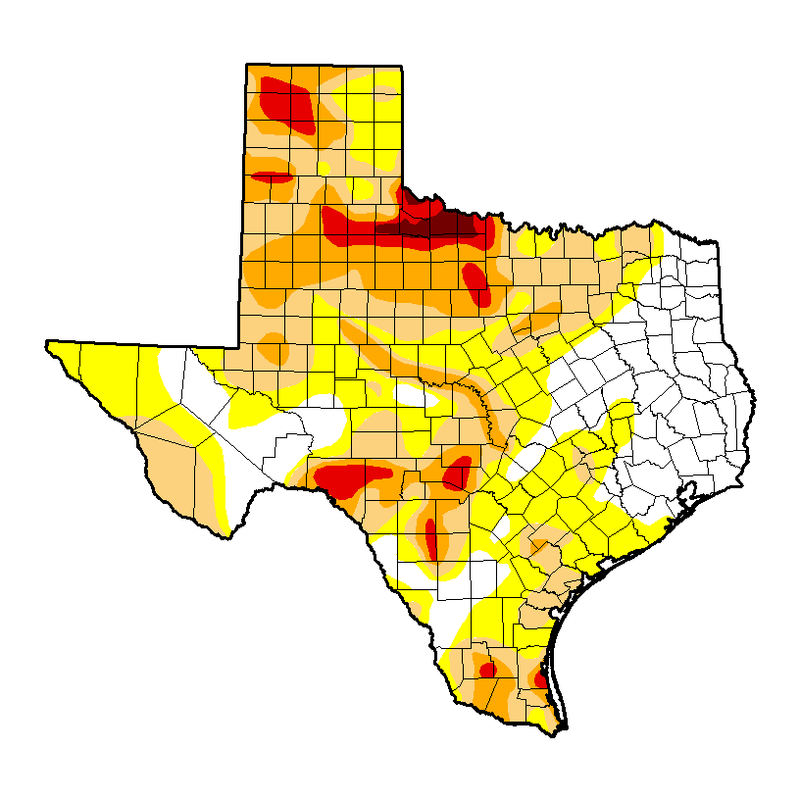 Texas was last this free of drought at the end of November 2010. After that time, the state began feeling the effects of the great drought of 2011, which peaked in early October 2011. At the time 99 percent of the state was in a “severe” or worse drought, according to the U.S. Drought Monitor. 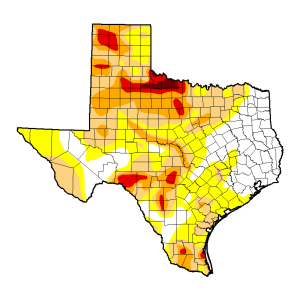 Today, about 20 percent of Texas is in a “severe” or worse drought, and 47 percent is in at least a “moderate” drought. Houston has been drought-free since late October. The region has seen a substantial recovery in most areas, including, recently, lake levels. Lake Conroe, for example, is up to 199.5 feet, just below its full pool of 201 feet. The lake was last this high in late 2010. “The primary lingering effects of the drought are dead trees and damaged pastures,” Nielsen-Gammon said. You can see the difference in the drought map. I hope we keep getting enough rain to make that map even less colorful. The news isn’t all good. Lake Travis is still in bad shape, and as we know plenty of cities in West Texas and the Panhandle are facing severe long-term problems. And even if we get enough water going forward to completely alleviate the current situation, nothing can be done about all of the trees that were lost. But we’re in a much better place now than we were two years ago, and for that we are thankful. Since our lakes are filling back up, maybe former mayoral candidate Ben Hall should go run for mayor of Austin, so he can build his underground water reservoirs out of salt domes, all the while not raising taxes. Then he could pump water out of his hollowed out salt domes to replenish Lake Travis.